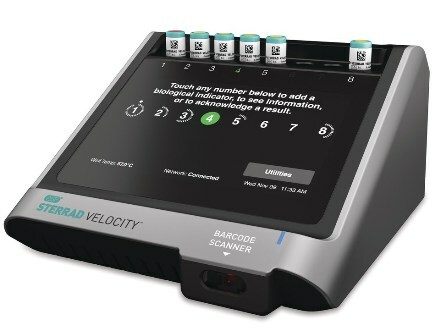 Advanced Sterilization Products (ASP) has secured approval from the US Food and Drug Administration (FDA) for its Sterrad Velocity biological indicator (BI) system. Sterrad Velocity is claimed to be the world’s first 30-minute biological indicator for low temperature H202 sterilization, helping hospitals to improve the sterilization of all surgical devices. Proper sterilization of surgical devices will help hospitals to reduce the incidences of healthcare-acquired infections (HAIs). BIs enable to prevent HAIs by offering assurance that instruments used on patients are sterilized, said the company. Earlier this year, the company also launched Sterrad systems with ALLClear Technology and ASP Access, which is a a smart information sharing technology. Sterrad Velocity is said to be the only BI reader that can automatically communicate BI information to Sterrad Systems, ITS and hospital networks, helping to reduce the need for manual documentation and decrease the potential for human error. ASP global marketing vice president Amy Smith said: "With a significantly shorter wait time, Sterrad Velocity reduces the risk of hospital sterilization departments releasing instruments prior to BI confirmation. "Now they will finally be able to know with certainty that proper sterilization conditions have been achieved before the instruments are used in patients." Image: Sterrad Velocity is the world’s first 30-minute biological indicator for low temperature H202 sterilization. Photo: courtesy of PRNewsFoto / Advanced Sterilization Products.